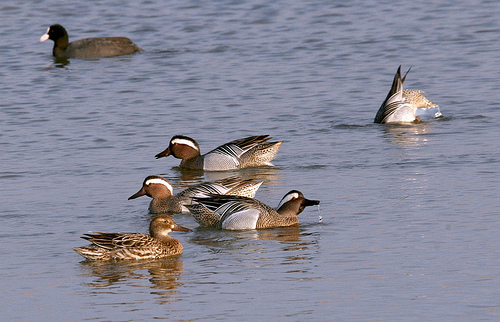 The head of the Garganey looks like the head of the Pintail. But the Pintail is much larger, has a long tail, and no white around the eyes. 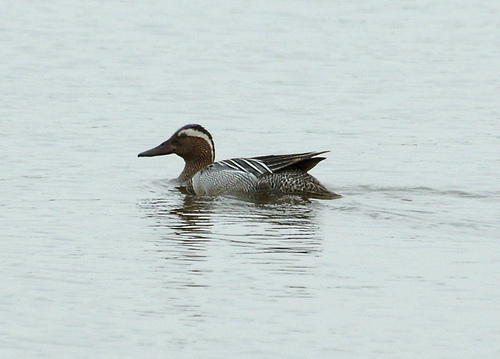 The Garganey has a brown head and no red and green on it like the Teal. The bill of the Garganey is much larger.